Scroll through our gallery of photos from Pretty Little Liars episode "The Melody Lingers On". The girls are horrified by the footage from the camera. 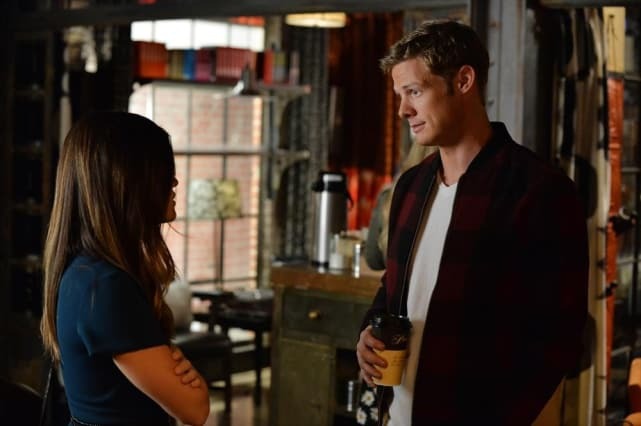 Is Aria gazing into Andrew's eyes, wondering what's next? 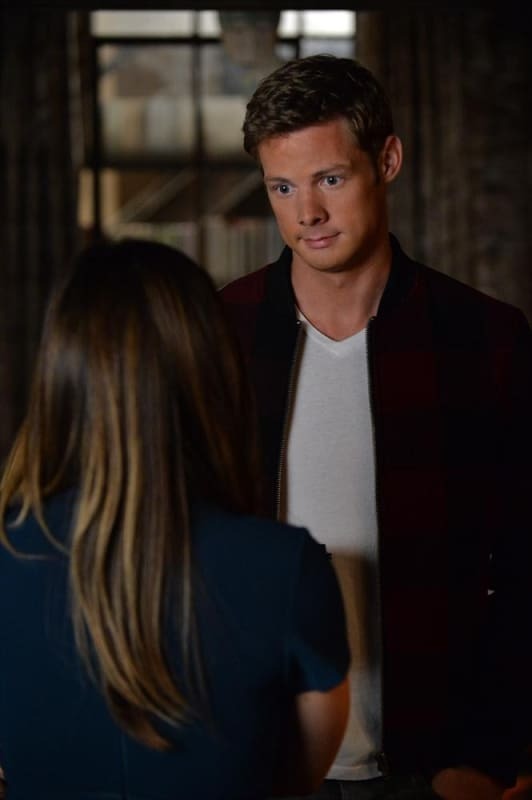 What role will Andrew play in helping Hanna out of jail? 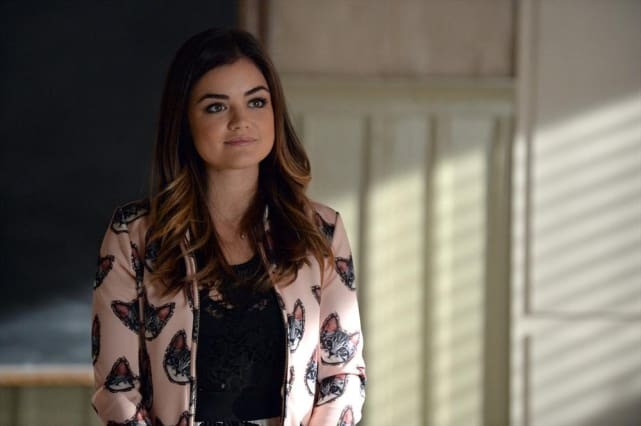 Could Aria be making Andrew aware that she and Ezra are done? 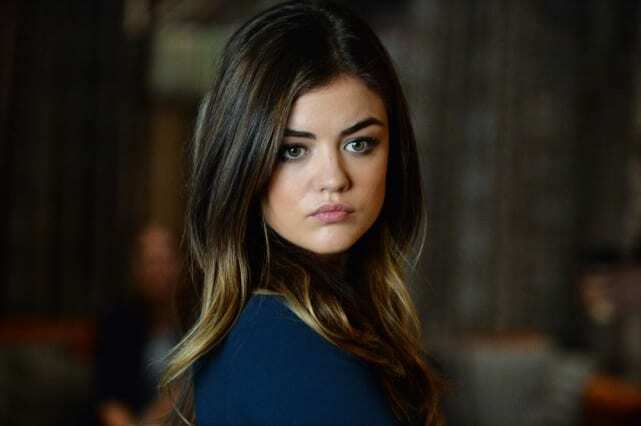 We don't quite know whether Aria is mulling a relationship with Andrew, could he be A? Two meetings with each other in one episode on different days? This is almost a relationship. 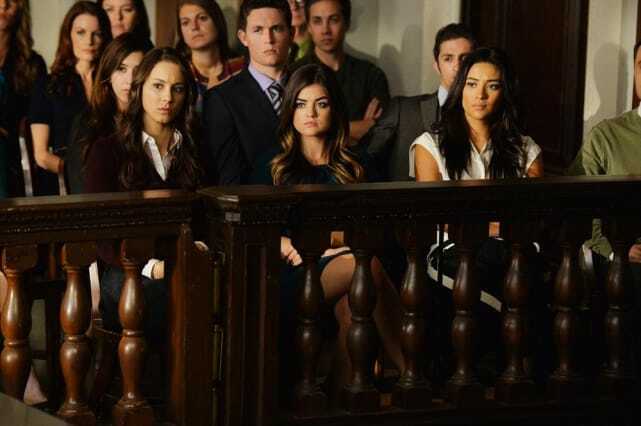 Pretty Little Liars Round Table: The End of Ezria?